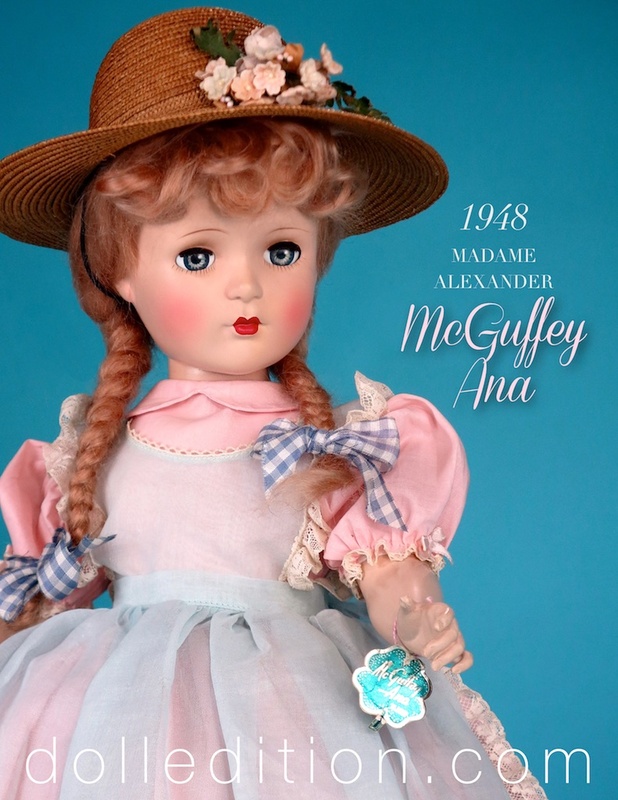 "Maggie" represents the best of the "golden age" of Madame Alexander and her dolls. Chubby chipmunk cheeks, sleep eyes, closed mouth, more than thirty dolls used this face mold over the years. The "Margaret" molds transitioned composition 1946-1947 and hard plastic 1948-1956. 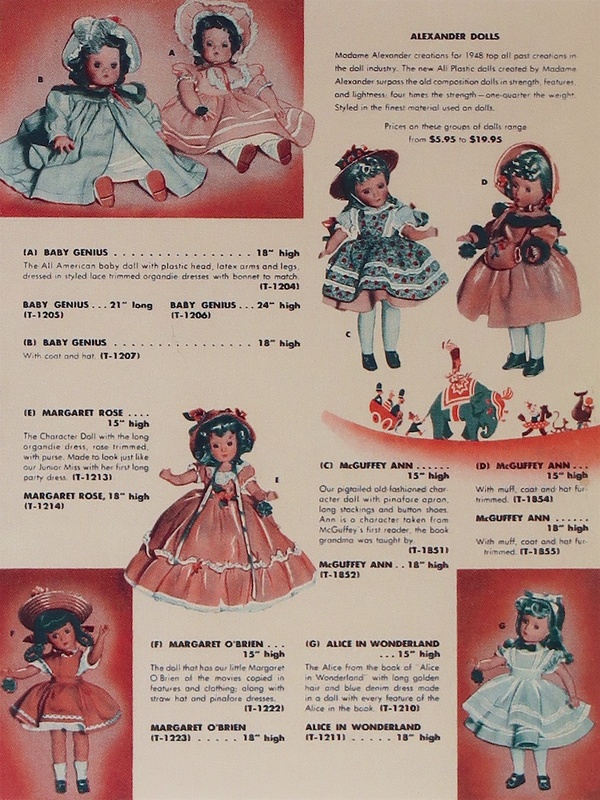 The newer "Maggie" molds were introduced in 1948-1954 just as hard plastic dolls were launched. 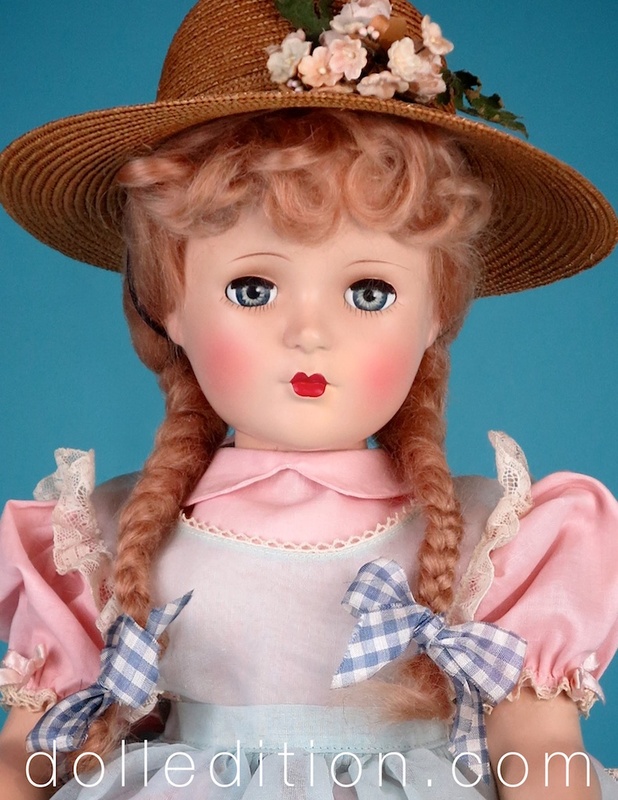 "Maggie," often dressed as a fashionable young lady of the era wearing lovely examples of children's fashion in the late 1940s and early 1950s. Role models for children's style of the time where child actors from Hollywood, some of the iconic families created for the small screen starting to appear on new and exciting TV programming, and the British royal family where Prince Charles and Princess Ann were the same ages as millions of American children. 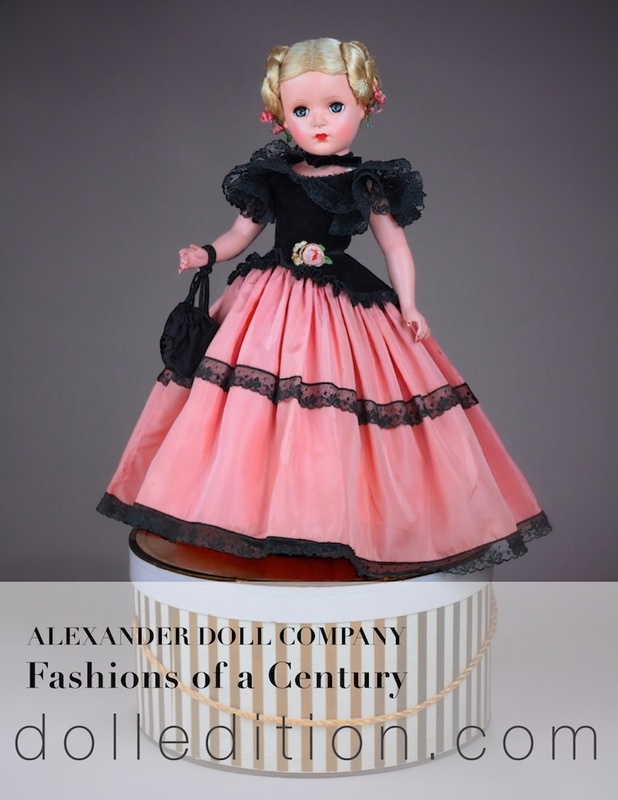 A devotee of fashion and elegant costuming translated for her dolls, Madame Alexander would have her own line of tot's and children's clothing from 1960-1964 with some pieces adapted for dolls. 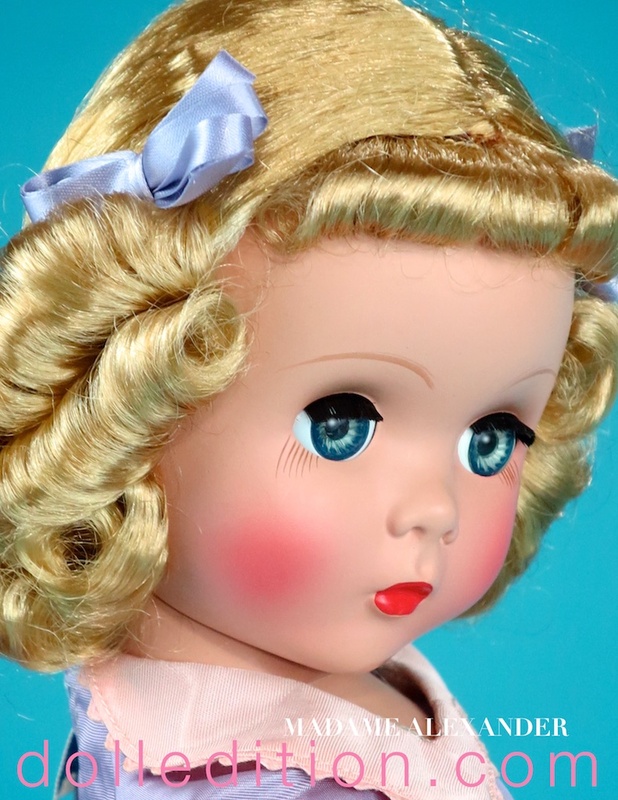 "Maggie" represents the style of the era for little girls as fashion moved into the world of mid-century America. 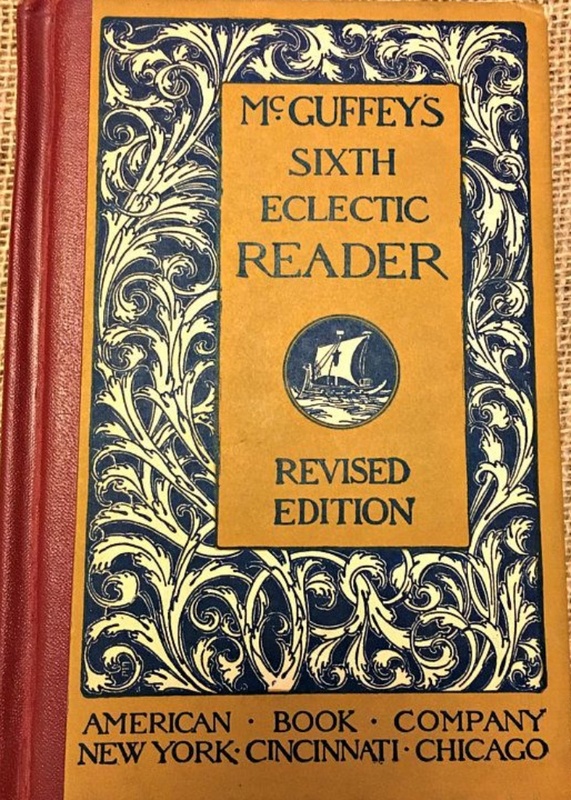 "Maggie" came along during the first wave of the new medium of hard plastic. 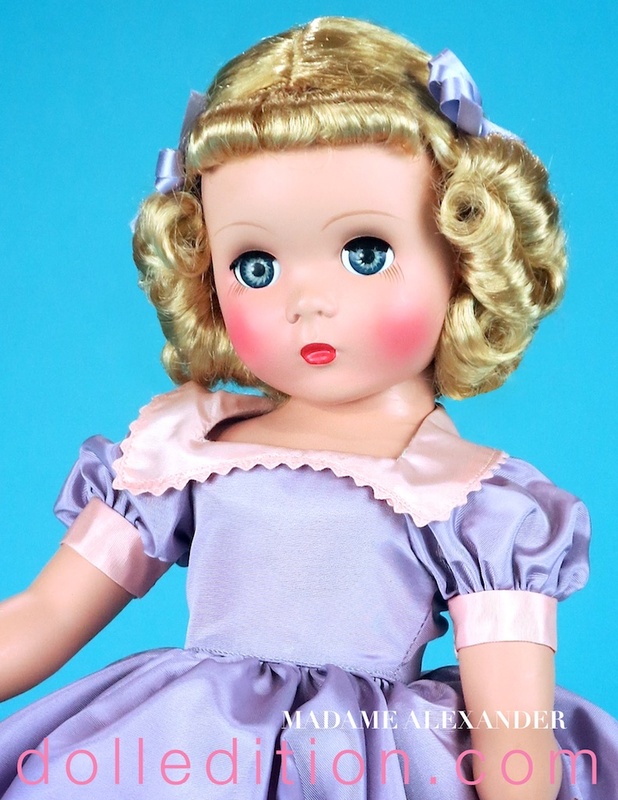 The Alexander Doll Company switched over from composition dolls to hard plastic in 1948. Back detail of the dress design for "Maggie." 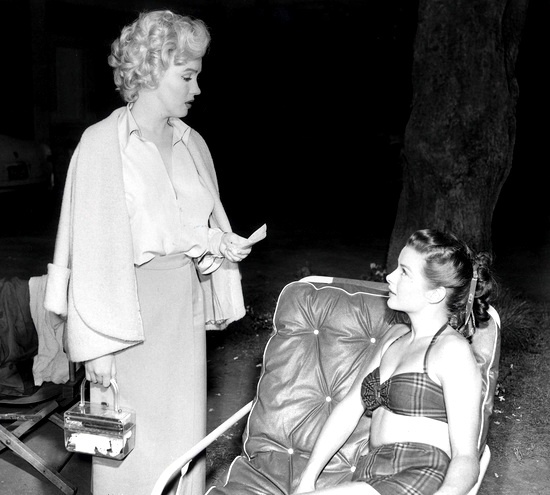 1957 Cissy wearing No. 2143 lilac taffeta afternoon dress with box pleats. Jewelry includes rhinestone earrings, the iconic pearl necklace of the period and amethyst bracelet and ring. 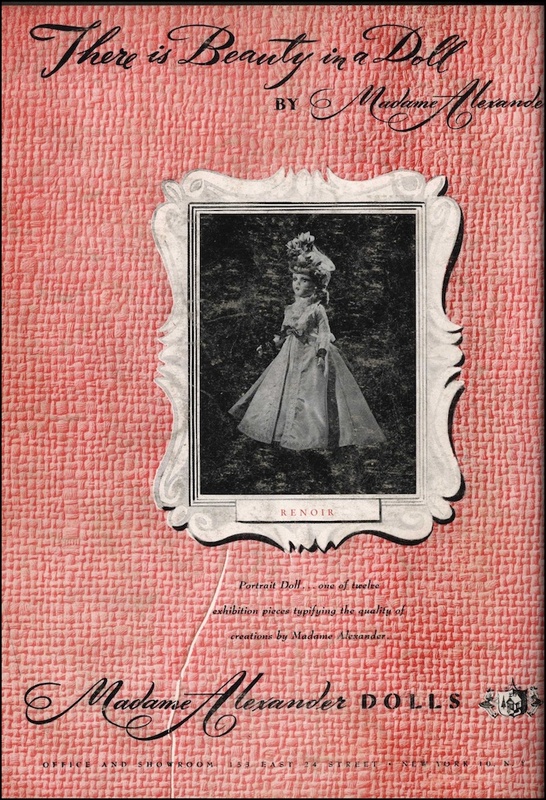 One of my all time favorite Cissy’s is this 1957 No. 2143 lilac taffeta afternoon ensemble. It combines much of the best of Madame Alexander and her interpretation of midcentury fashion for Cissy. Included is a caplet jacket with lapels, a dress with box pleats a corsage detail at the bodice that coordinates with the flowers of her fashionable lilac straw hat with netting. This example is an auburn coiffed Cissy with curls that that pair up perfectly with her open crown hat. The color itself is a complete departure of the practical war colors for the forties. A newly available post war pallet was all about an explosion of colors previously not available. Box pleats reinforced the idea of the luxury of fabric in ways that add new extravagant fullness and detail which required much more yardage. By now, fashion had evolved to include a dress for every occasion and every occasion had it's hat. There was the house and day dress, the afternoon dress, the tea dress, and the newly established cocktail dress. Evening dress now included the prom - so very important to the emerging baby boomers. Evening fabrics like organdy, chiffon, taffeta, silk, and tulle were very popular, and bows, flowers or other accessories were often featured. The lucite purse is particularly interesting detail seen with this Cissy. 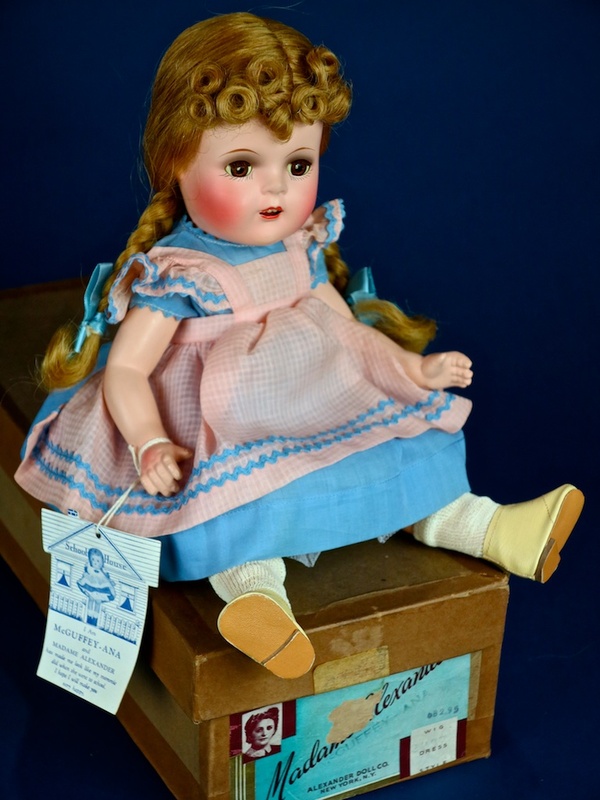 Lucite was created in 1931 by the American chemical company DuPont, which would also work with the Alexander Doll Company in the late 1940s developing and refining plastics for dolls. Lucite purses could be be quite fanciful in their design and color. They became particularly popular with the Miami vacation set - which became the playground of the wealthy during the 1950s. its fun-in-the-sun, holiday appeal made it the perfect spot to sell Lucite bags. The appeal was contagious, and the lucite purse became a major fashion statement. Cissy wearing her lilac straw open crown hat with netting and floral accents.Caplet, Bolero, shrugs, toppers, and fur jackets were all popular as part of the finishing touch to complete the all important fashion sillohuette of the time. 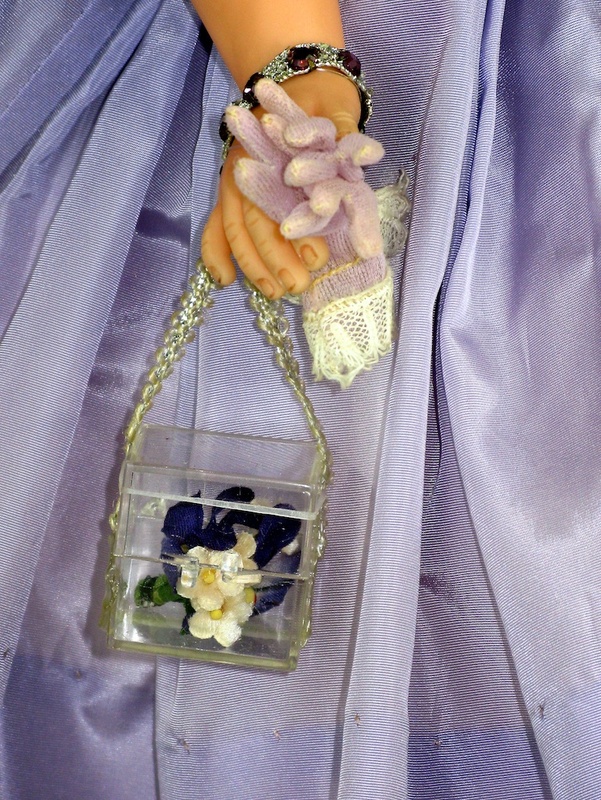 Cissy's lucite purse with floral accents matching her dress and millinary. Box lable for this Cissy No. 2143. Rose detail on slip - a hidden, but charming detail. The Lucite purse came in many shapes, colors and styles and was used in both formal and casual fashion. Marilyn Monroe with a lucite purse. The all important millinery... this hat frames the face and accommodates Cissy's hairstyle. This feature became essential as hairstyles became more bouffant. 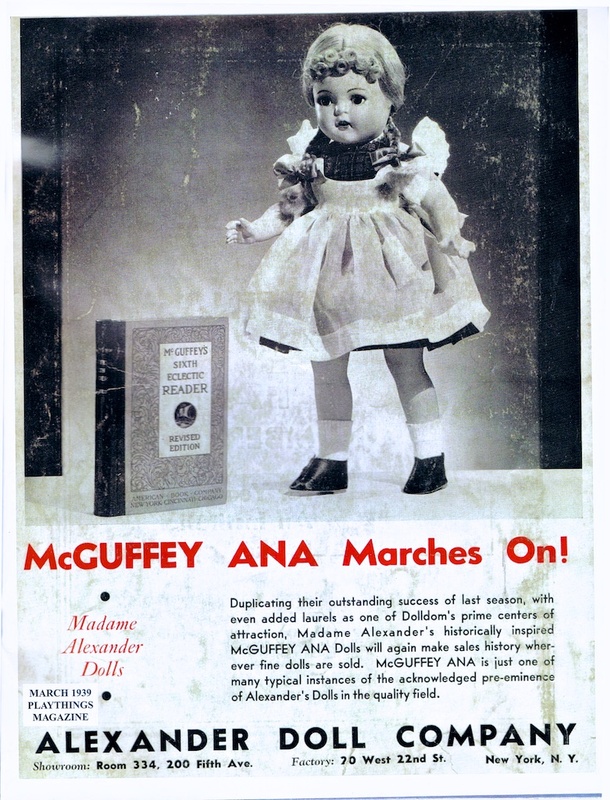 Fashions of a Century - 18 inch Lady, part of a nine doll series from 1954. 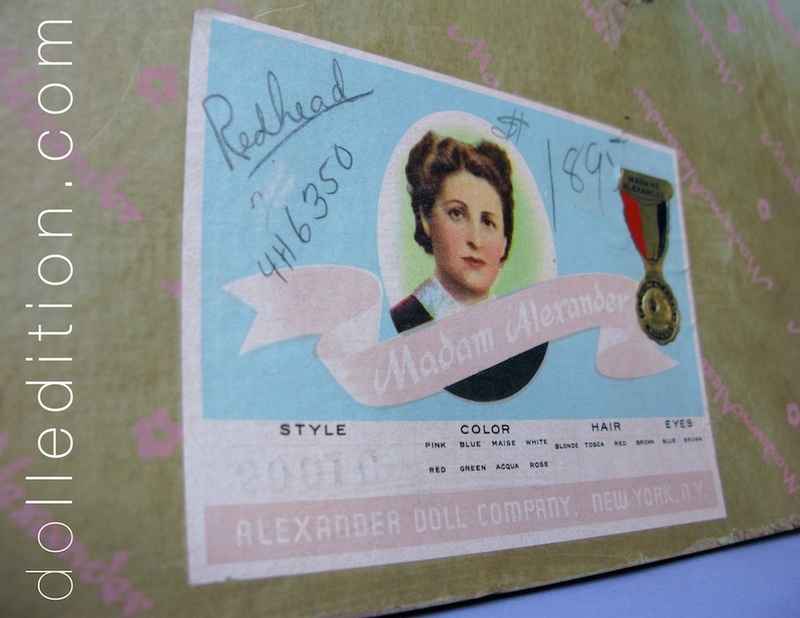 These are among the rarest of Madame Alexander dolls. 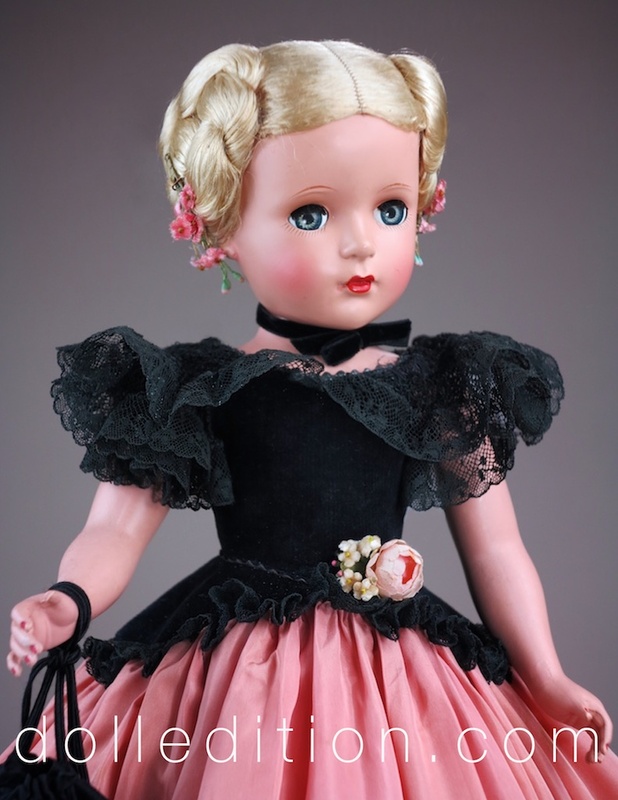 In Godey styled costuming, dressed in peach taffeta, black lace and velvet, the doll has a mesmerizing presence. One of her features is her elaborate coiled hairstyle. The reticule is not original to the doll. 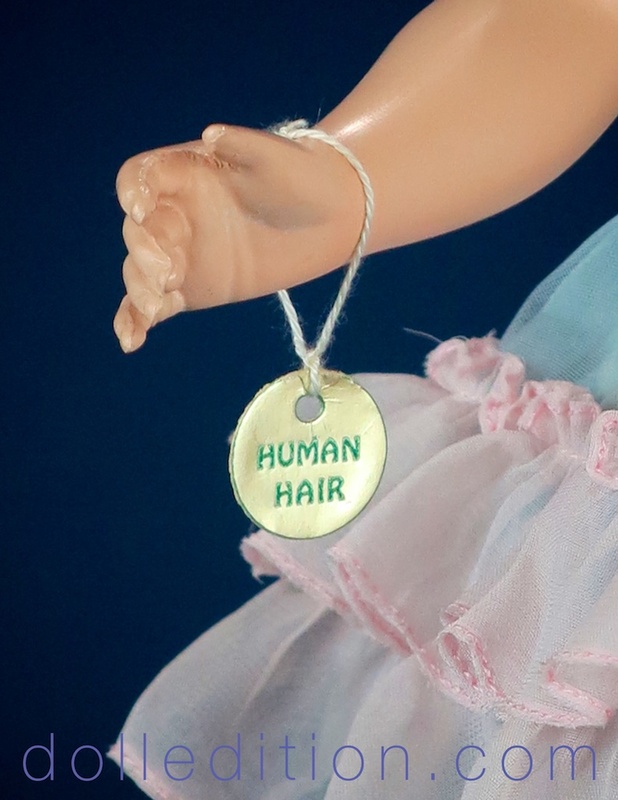 This is the first doll for the dolledition.com 2016 blog. Part of the Fashions of a Century nine doll series made in 1954. 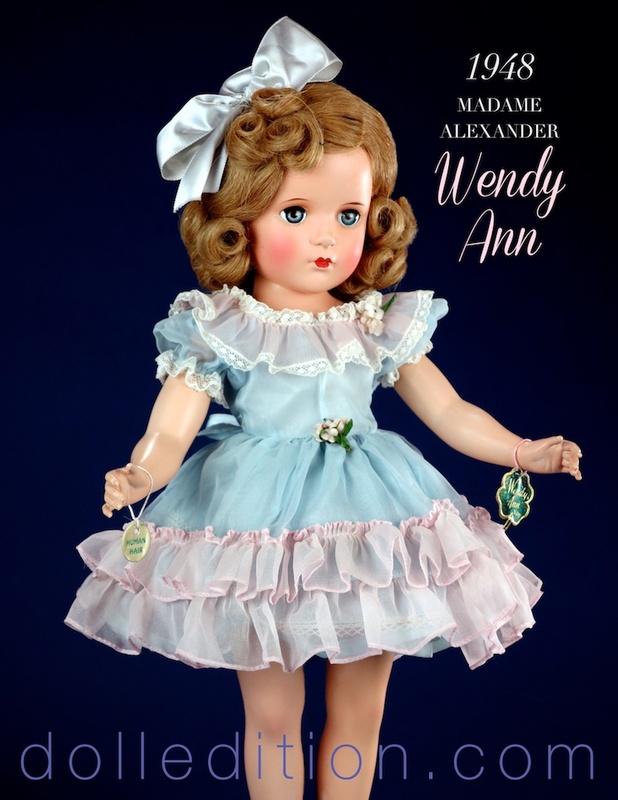 These are among the rarest of dolls by Madame Alexander. 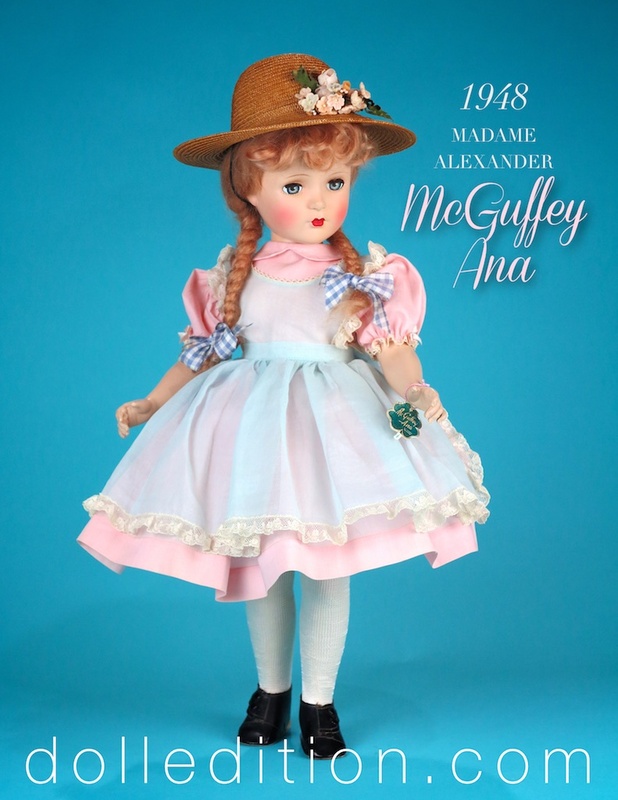 An 18 inch early hard plastic doll, produced at what many consider the golden age of the Madame Alexander Doll Company, this doll has been a joy to photograph. Dressed in the style of a Godey Lady, the cut of the gown is a dramatic period statement, along with the lavish black lace accents at the shoulder, black velvet bodice and choker. 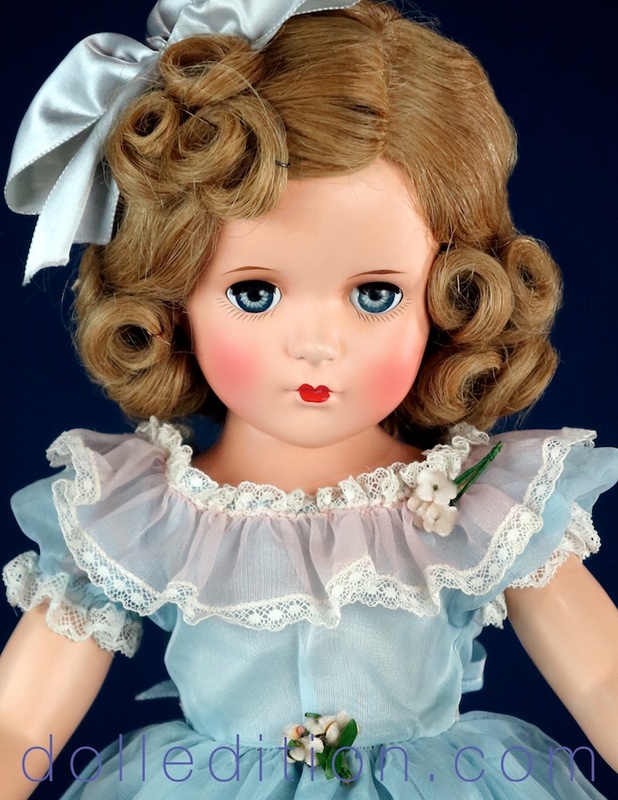 One of outstanding features of the doll design are the side twisted side chignons of this platinum hairdo. The Margaret face of this doll is absolutly captivating - and part of the unique culture of some of the exceptional dolls of this era. 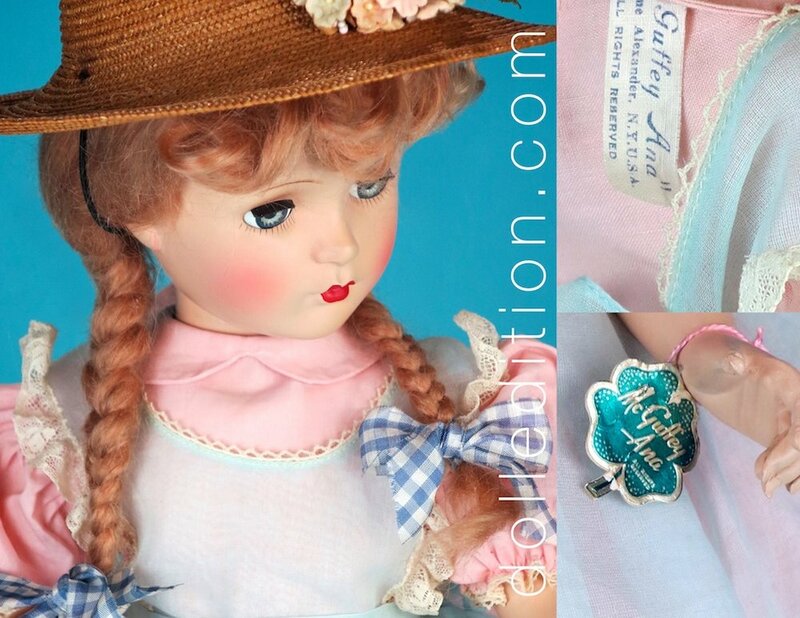 The reticule is not original to this doll.